The 2018 Porsche Macan is a powerful, dynamic SUV which offers a tremendous amount of safety and comfort to those privileged enough to own it. However, it is in competition against the Acura MDX, which has been praised for its design, functionality and performance. Which of them should you choose? The Porsche Macan has an exterior which is sleek and streamlined, with lots of options for interior upgrades. Passengers can expect a roomy interior, comfortable seats and a state of the art, conveniently located dashboard. The fender and bumper of the Acura MDX have been reshaped, with LED lights in the front that are sharper. Overall, it is quite sporty in appearance, and like the Macan is extremely comfortable to sit in. The Porsche Macan comes with lots of airbags, which are designed to protect every passenger. Other safety mechanisms include warnings when departing lanes, monitoring for blind spots and a camera that is surround view. Virtually everything in the Macan is wrapped in leather, and the seats feature Alcantara upholstery and can be adjusted as desired. Throw in an audio system with ten speakers, touch screens and climate control which is dual zone and the Macan basically becomes a luxury hotel with wheels. The Acura MDX has been praised for being one of the safest SUVs on the road. It gives warnings for forward collisions, emergency brakes which are automated and adaptive cruise control. The Acura is also packed with techs such as touch screens which are seven inch, connectivity for Android and Apple devices, and USB ports. The standard Acura MDX is equipped with a V6 3.5 liter engine that can produce up to 290 horsepower with 267 pounds of torque. Its engine is calibrated to create greater tug when at reduced speed, which aids in daily starts and stops. It can tow approximately 3,500 pounds, which will allow owners to haul most recreational vehicles like boats. The Porsche Macan has a highly efficient suspension as well as transmission. It is equipped with a turbo 4 engine that can produce up to 252 horsepower with 273 pounds of torque, allowing it to go from zero to sixty in roughly six seconds. 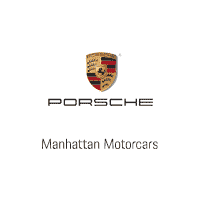 Both the Porsche Macan and Acura MDX are world class SUVs which offer a premium driving experience. However, when pitted against each other, even the smallest details can make a difference. The MDX has optional packages which some consider overpriced, the trim levels are confusing, and the 9 speed automatic transmission hesitates sometimes, so although closely matched the Porsche Macan wins.